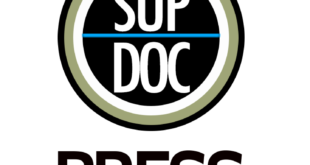 This episode of Sup Doc is sponsored by GUIDEDOC – For our 2 year anniversary, we’re covering true crime documentaries all throughout our Month Of Mayhem series. Paco and George delve into the iconic Errol Morris documentary The Thin Blue Line (creating the exoneration/investigation genre) with our guest comedian, writer, and FrotCast podcaster Vince Mancini. The Thin Blue Line is the fascinating, controversial true story of the arrest and conviction of Randall Adams for the murder of a Dallas policeman in 1976. It was voted the best film of 1988 in a Washington Post survey of 250 film critics. Premiere magazine described it as one of the most important and influential movies of the ’80s. The Thin Blue Line is a 1988 American documentary film by Errol Morris, depicting the story of Randall Dale Adams, a man convicted and sentenced to death for a murder he did not commit. 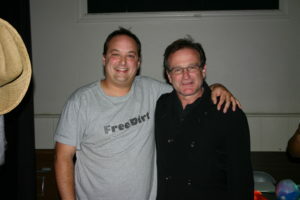 Adams’ case was reviewed and he was released from prison approximately a year after the film’s release. The Thin Blue Line has been lauded since its release, and is considered by many critics to be among the greatest documentaries ever made. In October 1976, 28-year-old Randall Adams and his brother left Ohio for California. En route, they arrived in Dallas on Thanksgiving night. The next morning, Adams was offered a job. On the following Saturday, Adams went to start work but no one turned up because it was a weekend. On the way home, his car ran out of fuel. David Ray Harris, who had just turned sixteen, came by in a car that he had stolen from his neighbor in Vidor, Texas before driving to Dallas with his father’s pistol and a shotgun. Harris offered Adams a ride. The two spent the day together during which they also had some alcohol and marijuana. That evening they went to a drive-in movie. Robert Wood, a Dallas police officer, was working the graveyard shift with his partner, one of the first female police officers in Dallas that was assigned to patrol. Shortly after midnight, Wood stopped the stolen car in the 3400 block of North Hampton Road because its headlights were not on. As Wood walked up to the car, he was shot twice and killed by someone in the car. The first shot hit Wood in the arm, passing through his flashlight. The next shot hit Wood in the chest. The Dallas Police Department investigation led back to Harris, who after returning to Vidor had told friends that he was responsible for the crime. When interviewed by police, Harris accused Adams of the murder. Harris led police to the car driven from the scene of the crime, as well as to a .22 Short caliber revolver he identified as the murder weapon. The film presents a series of interviews about the investigation and reenactments of the shooting, based on the testimony and recollections of Adams, Harris, the judge presiding over the case (Donald J. Metcalfe), and several witnesses (including Emily Miller and R. L. Miller) and detectives (including Gus Rose, Jackie Johnson, and Marshall Touchton). Two attorneys (Edith James and Dennis White) who represented Adams at the trial where he was convicted also appear: they suggested that Adams was charged with the crime despite the evidence against Harris because he was a juvenile at the time and that Adams, as an adult, could be sentenced to death under Texas law. The prosecutor (Douglas D. Mulder) does not appear in the film. The film’s title comes from prosecutor Doug Mulder’s comment during his closing argument that the police are the “thin blue line” separating society from “anarchy“. This is a re-working of a line from Rudyard Kipling‘s poem “Tommy” in which he describes British soldiers (nicknamed “Tommy Atkins“) as the “thin red line”, from the color of their uniforms and their formation.